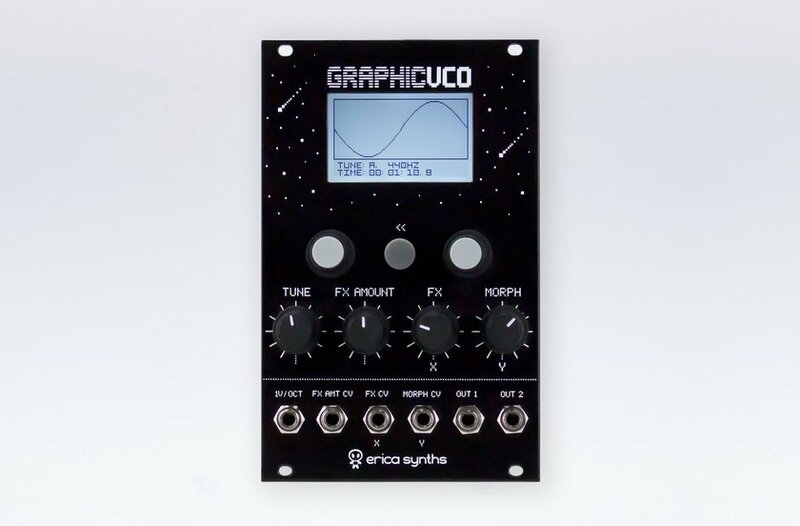 Erica Synths Graphic VCO allows you to draw your own waveforms, arrange them in wavetables and wavetable banks, morph between two selected waves and alter the resulting wave in advanced ways (FXes) – apply FM, phase distortion, ring modulation, wavefold/wavewrap, bitcrush. 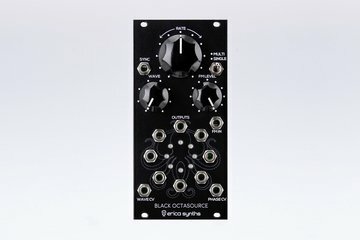 Of course, everybody loves sound of an analogue synth. It is a non-questionable core value of huge and influential tradition started in the second part of 20th century. However, if you are bored just for a minute to take part in that old collective ritual of millions, if you feel that rebel growing inside of you, if you are hungry to discover your own path, your own signature sound, if you really would love to jump into tomorrow now…, then Graphic VCO is your necessary ally. Draw your own waveforms. Sculpt your own voice. Master your own musical gesture. And you may find yourself in a new beautiful world. Indeed. My Graphic VCO’s 1V/Oct input is not tracking incoming CV signals correctly, it tracks only the highest notes from the sequencer/keyboard. What should I do? 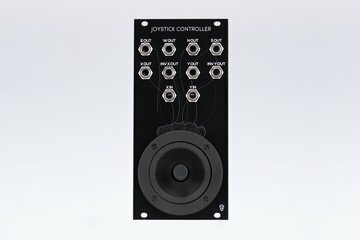 If the VCO tracks notes only above C4 or higher, please, make sure that the TUNE knob is all way counter-clockwise, because this knob defines the lowest frequency you can get from the VCO. My Graphic VCO’s 1V/Oct input is not tracking incoming CV signals correctly, it tracks only the highest notes from the sequencer/keyboard, but sounds which come from the VCO are pretty low. What should I do? Please, make sure if your device’s output signal is unipolar (from 0V to +10V) because the Graphic VCO’s 1V/Oct input is intended to track only positive CV signals. In case your device has a bipolar output signal (from -5V to +5V), we recommend you to use the Pico MScale: the upper part of this module adds +5V offset, so the signal from sequencer, which gives values from -5V to +5V for 1V/Oct, transforms into a signal which is compatible to the Graphic VCO. 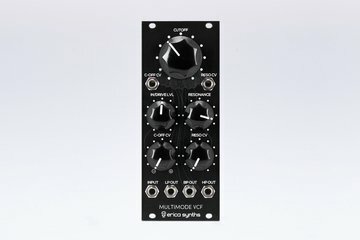 Erica Synths Black Multimode VCF has simultaneous HP, BP and LP outputs and CV control over cutoff and resonance for serious modular patches. 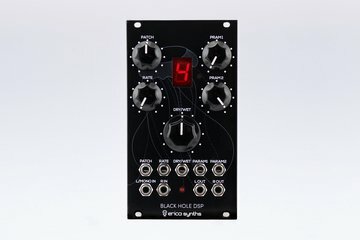 Erica Synths Black Joystick Controller is a manual command center for your modular setup, it also generates several sets of CVs and alters incoming CV signal. The joystick doesn't have a spring.